"In January 2006 in NYC, the patient of a well-known psychiatrist draws the face of a man that has been appearing in her dreams. In more than one occasion that man has given her advice on her private life. The woman swears she has never met the man in her life. That portrait lies forgotten on the psychiatrist's desk for a few days until one day another patient recognizes that face and says that the man has often visited him in his dreams. He also claims he has never seen that man in his walking life. 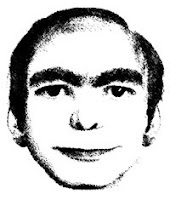 From January 2006 until today, at least 2,000 people have claimed they have seen this man in their dreams, in many cities all over the world: Los Angeles, Berlin, Sao Paulo, Tehran, Beijing, Rome, Barcelona, Stockholm, Paris, New Dehli, Moskow etc. The psychiatrist decides to send the portrait to some of his colleagues that have patients with recurrent dreams. Within a few monts, four patients recognize the man as a frequent presence in their own dreams. All the patients refer to him as THIS MAN." So far I believe that this is just one more campaign across the internet than a real case. Is this really true, or we are just in front of another web that tries to generate a lot of traffic based on a false story and trying to extract slice of it? So, has anyone ever really dream with this guy?